Contact us today to order a container, start your trash pick-up service or to change your existing service. Its easy, there are no forms to fill out, no set-up fees and no contracts. 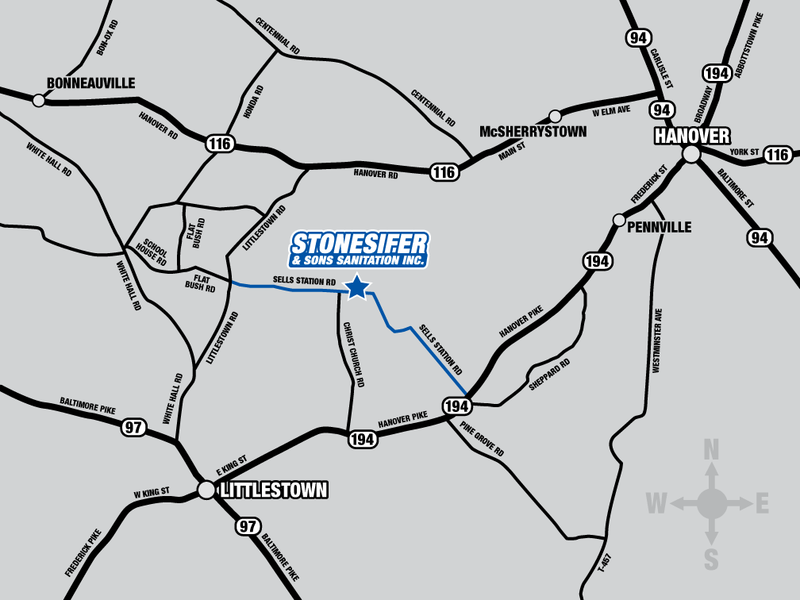 Simply give us a call at (717) 359-4627 and you'll be added to the weekly route immediately. 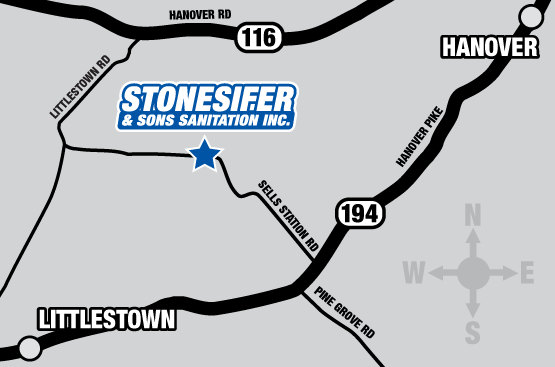 Address: Stonesifer and Sons Sanitation Inc. Directions: Reference the simple map to the right (or click to view a larger expanded version) to locate us. In addition, below you'll find written directions from a few local intersections. If you need custom directions or just another route option from your location, click here and enter your address via google maps.